If you've ever seen a SLUG Zombies mini figure, you're familiar with the work of John Rauschelbach. John designed every character in the 2012 line by Jakks Pacific, which contains over 60 different released sculpts and remains popular among toy collectors. His work has also been present in toy aisles recently via Jakks' World of Nintendo Micro Mario World and Micro Smurfs Village sets, made up of mini figures and play environments. In addition to that, his portfolio contains a range of graphics, illustrations and product designs, from Creepy Crawlers packaging artwork to Game of Thrones beer steins. After connecting with John on Instagram, I asked if he'd be up for answering a few questions about his work on SLUG and other projects. He kindly obliged, and also shared some very interesting designs and product images, including artwork for the scrapped SLUG Monsters and SLUG Aliens. Read on to find out about those unreleased series, additional Zombie figures that never made it to stores, and much more about the background and projects of the talented Mr. Rauschelback! 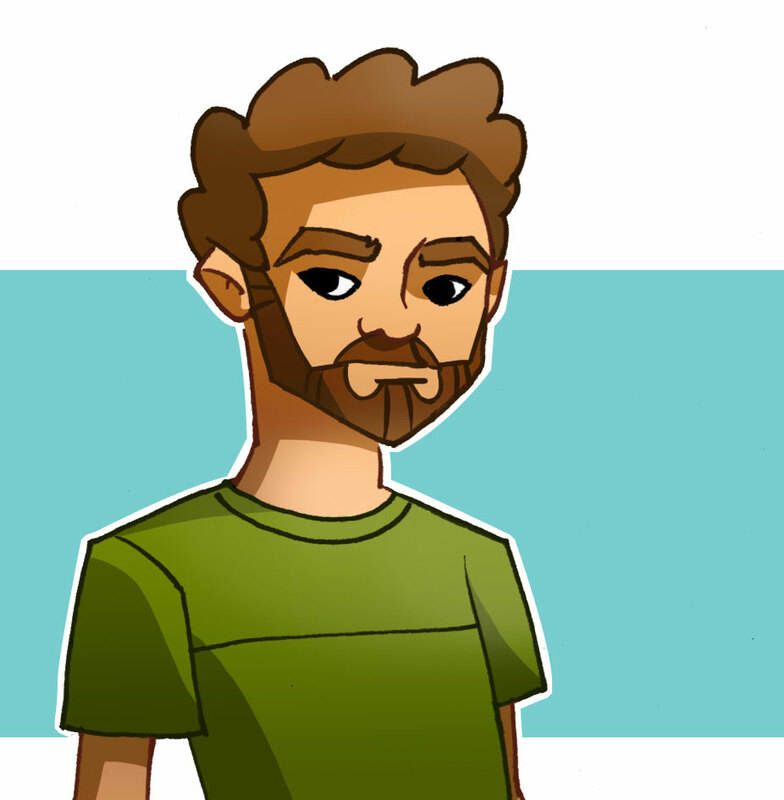 LW: First, tell us a bit about your background and how you got into design/illustration. JR: Like so many other kids I grew up drawing all the time. I knew for college I wanted to pursue some sort of artistic career. I ended up going to The Art Institute of Colorado in Denver, majoring in Industrial Design. I thought I might get into special effects and animatronics, but the focus was on product design. My first job out of college was working or a company that made water park structures. I was illustrating their concepts for marketing and sales. I was drawing pirate themes, tropical Islands, fantasy settings, all kinds of stuff. I think the variety helped down the road. When I moved to Los Angeles my portfolio showed a lot of playful fun products, so I was able to get a job in the toy industry. Looking at your portfolio, you’ve worked on a wide range of projects in the toy industry, but also for theme parks, food products and more. What are some of the projects you’ve enjoyed the most? The water park stuff was really fun because I had to cover a lot of surface area. They were basically playsets with an overall theme. So I think I enjoy that stuff the most—anything that helps create a whole world. 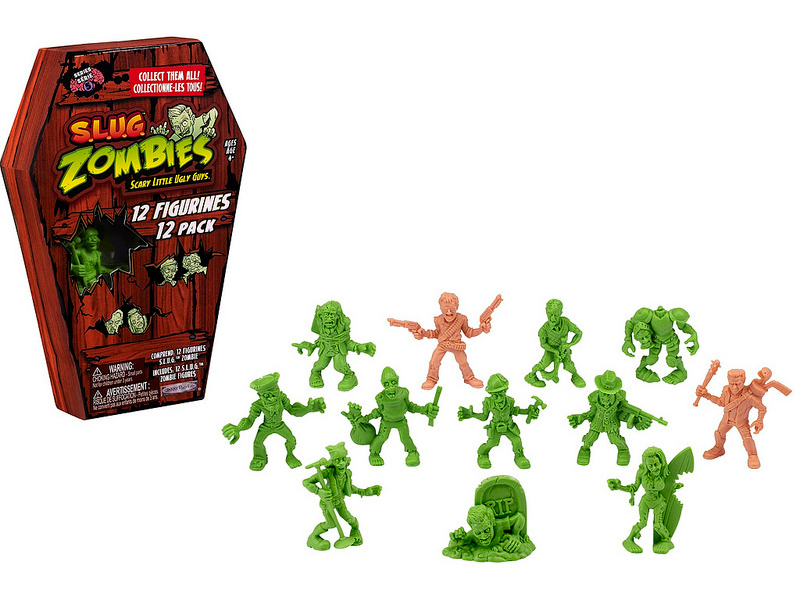 So playsets that included figures and settings like Smurfs, Nintendo, and of course the breadth of characters in the SLUG Zombies line. I also like working on really specific projects like the 13-inch Ron Burgundy talking action figure at Beeline Creative. I’m a big fan of SLUG Zombies, and there are many other toy collectors still interested in them as well. What was it like working on that project? How many character designs did you do? It’s one of my favorite projects for sure. The idea originally came from the team headed by Brandon Giraldez over at Jakks. I was doing a lot of freelance design for them at the time. He came to me after having a few designers take a stab at the concept. They were trying to nail down the style; funny, playful, but very unique zombies. I knew what they were going for, since I was a pretty big M.U.S.C.L.E. fan as a kid. My brother and I had a bucket full of those little pink guys. They liked my first ten or so concepts and it grew from there. 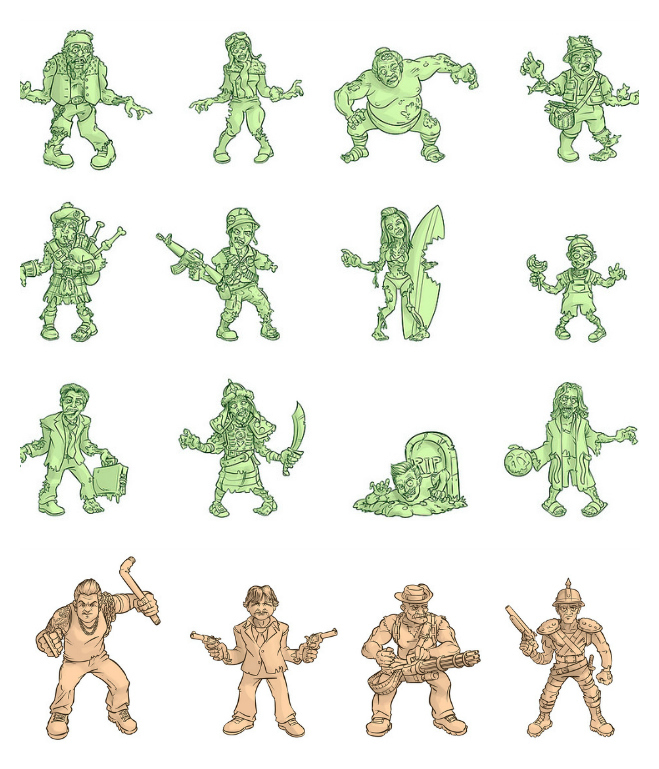 I ended up designing every figure and drawing all the turnaround views for the sculptors. Brandon and his team would come up with a list of characters and concepts, and it was up to me to draw them. They came up with the great names and bios for all of them. I think we ended up with over a hundred unique designs. What are some of your personal favorite SLUG designs? A lot of the designs were actually based on co-workers at the Jakks office, so those were a lot of fun. 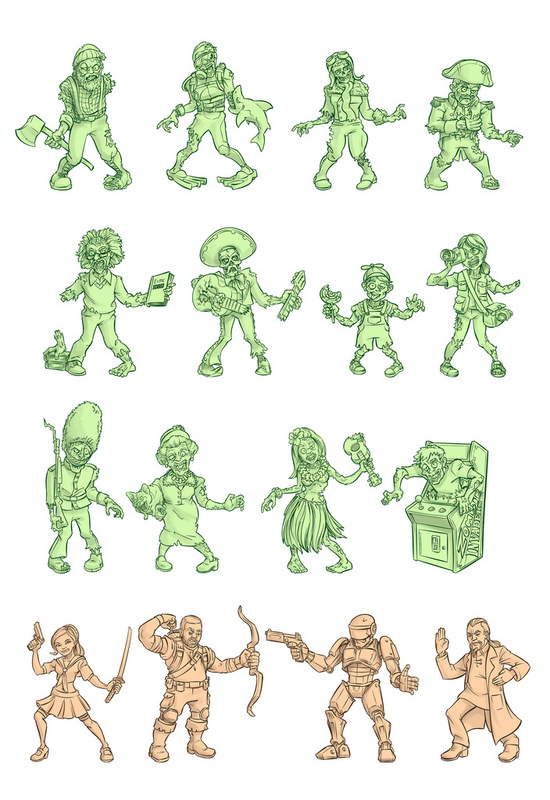 But a few of the designs that I thought came out best were “Neil Armgone” the astronaut (loved his final sculpt), “Jeet Kune Dead” (for his use of a prop) and the zombie hunter “Johnny Two-Guns” (because he’s based on a combo of myself and Chuck Norris). When the SLUG line was first announced, it was said that Monsters and Aliens series were planned, too. What details can you give us about what could have been for those two series? Did these ever make it further than concept illustrations? 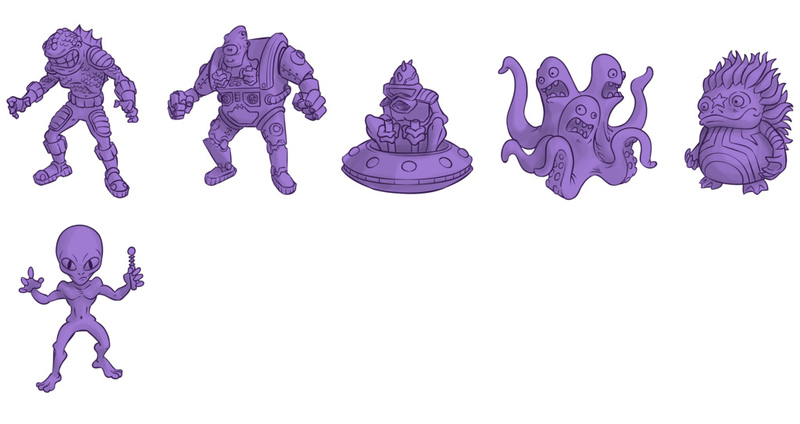 We got further along on the SLUG Monsters, but never got to the sculpt stage unfortunately. We designed eight Monsters, but also came up with four “Monster Hunters.” The Monsters were going to be blue and the Hunters would be pink, just like the Zombie Hunters. It would have been tough to come up with a hundred Monsters, because we might have run out of pop-culture reference like we had for the Zombies. I’ve sent along the Hunter designs so you can see what we were going for; we had references to the Lost Boys, Ghostbusters, Van Helsing, and Buffy (allegedly ;). The SLUG Aliens didn’t get very far along—we were still trying to crack the whole look and concept. I think it would have been a little more difficult to bring the comedy, like we had with Zombies. I have six designs, and they were just ok. They would have ended up being purple guys. There were a number of Zombies shown on the checklist that never made it to stores when the line ended after Series 4 and the Christmas set. I heard that some of them actually got produced, but not released. Is this true? Jakks did produce Series 5. Around that time companies were starting to challenge trademarks on characters—they thought some of the figures were too close to their actual references. At that point a lot of distributors and people inside Jakks got nervous about pushing anything else out to the market. Series 6 was at the grey model stage, but it got put on hold as well. I'm not sure what happened to all the Series 5 stuff in package. A lot of employees grabbed them up, but there is probably a lot sitting in a Jakks warehouse somewhere. They wouldn't have produced very many, but it is a shame it's not out there. I have some images here of Series 5, 6 and even concepts for 7. I see you also worked on the Micro Mario World and Micro Smurfs Village releases, which are very fun toys. How was your experience working on those? I really loved working on the Micro Mario and Smurf worlds. 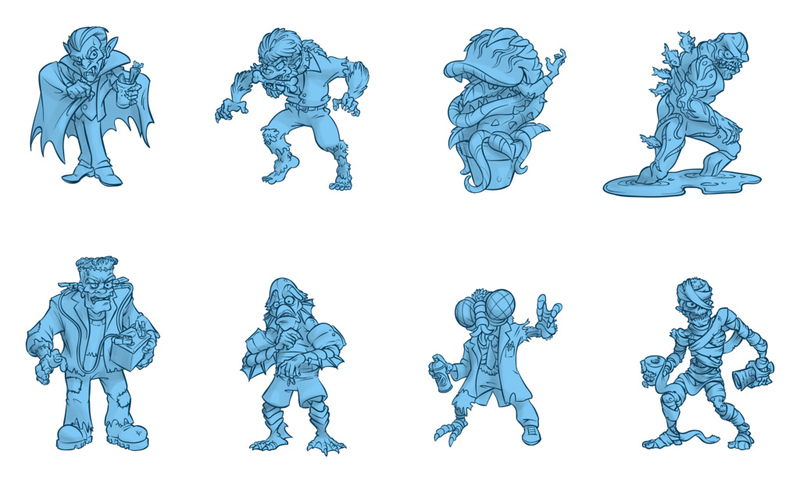 Just like Zombies, I had my hand in every single Smurf design for the figures and village. The idea came from Brandon Giraldez’s team again. We came up with the idea of doing super small, stylized versions of Smurfs first. The little black dots for eyes were the key to cracking the design. And to our surprise Lafig (the company behind Smurfs) loved our new look. That’s really rare for a licensor to give us such freedom to stylize their intellectual property. 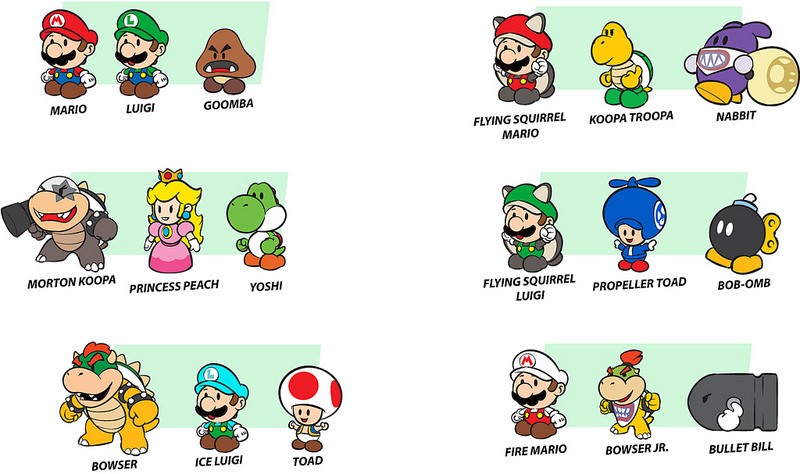 We wanted to do the same thing with the Mario World characters, but Nintendo was not open to that. We had to stick very close to the style guide with those little guys. I’ve included some early designs showing our original concept. Do you have any other cool projects in the works that you’d like to share? Or are there any specific types of projects you’d like to get the opportunity to do, toys or beyond? I’m doing a lot of work with Brandon Giraldez and his company Beeline Creative. We’re releasing some licensed beer steins, made of actual ceramic with pewter hinges. Really high quality stuff, and our first line will be Star Wars characters: Darth Vader, Chewie, Boba Fett and R2-D2. 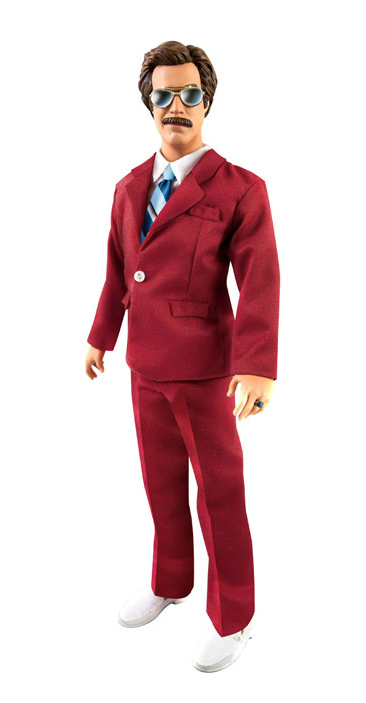 We’re also making more 13-inch talking action figures like we did for Anchorman. This time it’s going to be Pulp Fiction, with Jules, Vincent, Butch and Jimmy. I hope to keep doing a lot of toy design and original properties. I’m working with Beeline on a lot of animated TV pitches, all of which could have great figure lines. Hopefully I’ll have something to share about those soon. A big thanks to John for taking the time out to answer these questions and send these images! Be sure to check out more of his work at rauschy.com, and follow him on Instagram. All SLUG and Micro Mario/Smurfs images property of Jakks Pacific Inc.
Great interview! I don't see them on John's site -- but could you ask if he also designed the Slugterra figures for Jakks Pacific? More importantly -- let's find out what the heck we have to do to to get the rest of the SLUG zombies produced! Somehow, with John's knowledge and talent, and Kickstarter -- we can do an independent release of his zombie characters even if we have to produce them under a different name. Glad you liked it! I'll see what more I can find out. It seems there are a lot of people who would love to see the others released somehow (myself included). I absolutely love the SLUG series!! I love the sculpts and the character in every design! I would've loved to see and own the Monster, Alien, and other parts of the line as well! Would love to see them produced! the cancelation of the slug zombies was one of the bigger disappointment in the minifigure world, but seeing what the monsters (and aliens) would have looked like makes it even more painful. Hope series 5 slips out somehow, it had some of my most wanted in it. John, if you read these comments, THANK YOU for such great designs!!! That's for sure! Thanks for reading and for your comment! I discovered the S.L.U.G line just as the retailers were putting it on clearance. In terms of creativity and overall design quality I think this line is among the best mini-figure series in recent memory. It's a shame that at least those already produced weren't distributed. I won't even start on my disappointment over that Monsters line; those pictured would've made beautiful sculpts. Yes, those Monsters look fantastic. I'd be all over those. I was so looking forward to Series 5 (especially the Popeye inspired figure!) I too hope these end up out there somewhere somehow. Can't imagine they would never get sold if they went to production. The monsters and Aliens look wonderful too - those would have been some fun figures! Hey everybody, John here. Thanks for all the great comments, glad you liked the designs. The whole team at Jakks worked really hard and proud people responded. We didn't have any TV commercials or series tie in, but it still did relatively well. With all the great response, maybe this won't be the last we'll see of the line. If anything has the chance of coming back to life it's zombies! If any news comes up I'll share it on Instagram. Great to hear, John! As you can see, SLUG still has a lot of fans. It would be awesome if something could be done to bring more figures out. Great interview, and excellent work John! Much as I miss SLUG Zombies and wish the line had continued, it’s those SLUG Monsters that really breaks my heart- they look AMAZING! Even if just those 8 figures came out I would be very happy. The mummy, wolf man and fly in particular are just superb. If there’s any plan to get them released somehow- e.g Kickstarter- I’d be 100 % in! Oh wow, my head exploded after reading this awesome interview! Being a toy designer would be my dream job, if only I had made better career choices, because I just automatically ruled out the possibility in my mind. Thank you both for the great interview!!! Also, let's get these unreleased SLUGs released somehow! I'm sure no one thought Mordles would make a reappearance, and now they sell like hot cakes! The OMFG Kickstarter projects are also a shining example. Let's make it happen! Agreed, it seems like it would be a lot of fun. Glad you enjoyed the interview, man! Awesome interview! I always wondered about the talked about S.L.U.G. Monsters...too bad they never got made. I was always most curious about the Monsters too. It's cool to know what could have been, at least. those would have been amazing. I am so saddened at their untimely demise. That sentiment seems to be shared by a lot of people (myself included!). I find it very disappointing that they are no longer being made because its very hard to explain to a 5yr old that has autism as well as sensory issues why mommy can no longer get series 1 and why they are no longer making something that he loves so much. I really do hope they continue and bring back this line of toys not only for my son but for everyone that enjoys them. There are a few Series 1 sculpts that are very difficult to find, but most figures in the series appear on eBay pretty often and are not super expensive. Hopefully you can find some for your son. Good luck! Those monsters are amazing! Such a shame, this line is too good to not continue!